This authority is exercised only by teaching or preaching the Gospel and administering the Sacraments, either to many or to individuals, according to their calling. In this way are given not only bodily, but also eternal things: eternal righteousness, the Holy Spirit, and eternal life. These things cannot reach us except by the ministry of the Word and the Sacraments, as Paul says, “The Gospel … is the power of God for salvation to everyone that believes” (Romans 1:16). Therefore, the Church has the authority to grant eternal things and exercises this authority only by the ministry of the Word. The only authority that belongs to the bishops is what they have according to the Gospel, or by divine right, as they say. For they have been given the ministry of the Word and Sacraments. They have no other authority according to the Gospel than the authority to forgive sins, to judge doctrine, to reject doctrines contrary to the Gospel, and to exclude from the communion of the Church wicked people, whose wickedness is known.… According to this Gospel authority, as a matter of necessity, by divine right, congregations must obey them, for Luke 10:16 says, “The one who hears you hears Me.” But when they teach or establish anything against the Gospel, then the congregations are forbidden by God’s command to obey them. Lenten Catechesis from Treasury of Daily Prayer © 2008 Concordia Publishing House. 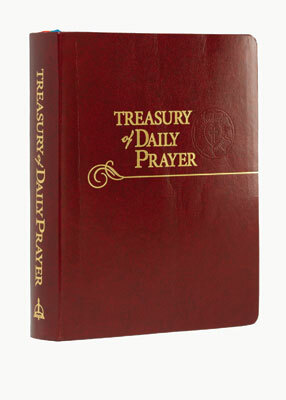 Daily devotions for every day of the church year, including Scripture reading, hymn, Psalm, a historical devotion, and prayer, can be found in THE TREASURY OF DAILY PRAYER on sale now from Concordia Publishing House. 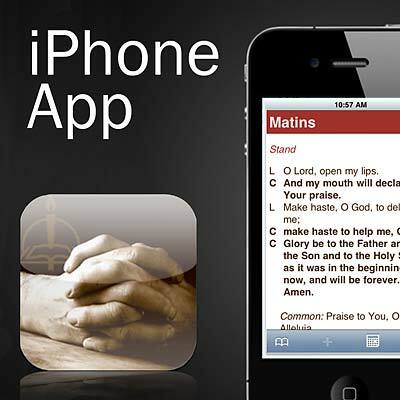 Daily devotions can also be downloaded to your iOS and Android device using the PrayNow app, available from Google Play or Amazon.com. The Scriptures are the source of God’s authority, be it in the Church or in the civil realm. The authority God gives to the Church and government are signs of His love for us, providing for our spiritual and temporal well-being. The Church does not exercise secular, or civil, authority. She may not employ the power of the state to compel people to accept the teachings of the Gospel, to enforce Christian living, or to punish or imprison heretics. Lutherans teach that the state has the power of the sword, but the Church has the power of the Word. Christ gave His Word to His Church. The Word of the Gospel brings people to faith. Peter expresses this understanding when he speaks of the “ministry of the word” (Acts 6:4). Not by force or fines but by teaching and the work of the Holy Spirit the Church wins people for Christ and shepherds them to life under Christ in His kingdom. Some teach that the Church’s authority comes from both the Scriptures and sacred tradition. Lutherans believe that the authority given by God is found in Scripture alone. A Roman Catholic, for example, asks the question, “What does the Church say?” A Lutheran asks, “What do the Scriptures say?” Therein lies a critical difference in understanding Church authority from a Lutheran point of view. The Office of the Keys is the term used to designate the power given by Christ to the Church on earth. Jesus said, “As the Father has sent Me, even so I am sending You. . . . Receive the Holy Spirit. 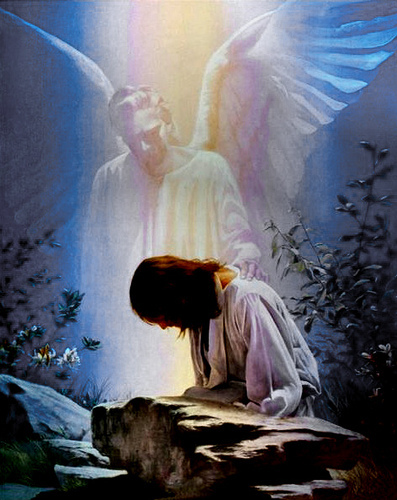 If you forgive the sins of any, they are forgiven; if you withhold forgiveness from any, it is withheld” (John 20:21–23). In the Book of Matthew, Jesus announces that He will give the disciples “the keys of the kingdom of heaven” (Matthew 16:19). This power was not exclusive to the apostles, but transmitted successively by the Church to those whom the Church ordains and places in the Office of the Holy Ministry. The Lutheran Confessions teach “It must be recognized that the Keys belong not to the person of one particular man, but to the Church. . . . This is why it is first the Church that has the right of calling” (Tr 24). The Church exercises the Office of the Keys through her ministers, who, in the stead of Christ, and on behalf of the congregation, assure that the Means of Grace are administered. Through these means the Holy Spirit imparts to people the blessings of Christ’s redemption. Christ obtained the forgiveness of sins and salvation for all people. Through the Means of Grace, the Holy Spirit imparts these blessings to the people. Through her ministers, the church administers these means. The releasing key is the power to remit sins (that is, to cancel the punishment of God against sin) and absolve the sinner (that is, declare the sinner free from the guilt of sin). This power is not separate from or above the Gospel of Christ, but is a specific application of the Gospel. The Lutheran Confessions hold that “the Power of the Keys administers and presents the Gospel through Absolution, which is the true voice of the Gospel” (Ap XIIA 39). In Christ, sinners are forgiven. In Absolution, the message of grace and forgiveness is applied to the individual in a more direct way. The called ministers of Christ, who speak God’s Word in the Christian congregation, have the power and authority to remit sins. The binding key is the power to retain sins. To retain sins, or bind them to someone, does not mean that these sins were not atoned for by Jesus or that they are not forgiven before God. Instead, it is the announcement that the unrepentant sinner, by desiring to remain in sin, has rejected the gift of grace offered by Christ for all those who have faith in Him. Forgiveness is received in no other way than by faith (Romans 3:28). The impenitent, because they refuse to believe it, have excluded themselves from the general amnesty proclaimed by God, and hold themselves outside of God’s forgiveness. The Church does not use the power of the keys lightly. Instead, she strictly follows the instructions of Christ. The Church remits sins to penitent sinners and retains the sins of impenitent sinners as long as they do not repent. Whenever the Church on earth through her ministers deals with sinners in this way, her actions are certain and sure also in heaven (Matthew 18:18). Pastors serve as God’s representative in a congregation, but all believers have a role in serving God. Those who have received the gifts of God cannot help but thank and praise the Lord who gives them. As Christians live their daily lives fulfilling their vocations, they also have opportunity to tell about the gifts they have received from Jesus to those around them. All Christians have the responsibility to grow in their faith and understanding of God’s love for them in Jesus Christ. All Christians have the privilege to serve as members of the “royal priesthood” by telling others about Jesus and pointing them to His gifts given in the Word and Sacraments in the Church. There is no “ranking” of service among Lutherans. Lutherans do not view the service of pastors as more important or holy than that of laypeople. Pastors are given certain things to do, and laypeople are given certain things to do. Together as the Church they work to the glory of God. The Scriptures tell us that God has also given authority to the civil government. Instead of forgiving sin as the Church does, the government rules for the sake of order, safety, and peace in the world. God tells us to obey those who are in authority over us unless they command us to sin. Civil power and authority to rule and govern originates with God. The apostle Paul writes: “Let every person be subject to the governing authorities. For there is no authority except from God, and those that exist have been instituted by God” (Romans 13:1). It is the will of God that there should be government because anarchy is contrary to His will. This power of government is not invested in any particular person, family, or class but in God’s Word. With this understanding, you can understand that the vocation of governing is divinely instituted and through it, God works in the world. Since the fall of Adam and Eve into sin, humanity’s relationship with God has been disrupted. By means of civil government God works to provide for security and peace. Governments, therefore, are to protect the lives, the property, the honor, and the reputation of the people. Those in civil authority are to preserve order, discipline, and safeguard the people as they pursue their occupations and enjoy their liberties. Government wields the sword of God’s justice as “God’s servant for your good” (Romans 13:4). The government may also engage in other activities that will promote and secure the general welfare of the people. This would include the education of its citizens, conservation and promotion of natural resources, the improvement of adverse conditions and suffering, combating those who threaten the peace, both within and from outside its borders, and improving living conditions in general. To fulfill its purpose, the government has the right to enact suitable laws (1 Peter 2:13), to enforce these laws, to judge people in accordance with these laws (John 18:31), and to impose penalties on those who break these laws. To support these activities and other purposes, the government has the right to levy taxes (Matthew 22:17–21; Romans 13:7). The government has the right to wage war for the protection of its citizens. Some churches teach that Christians should not be involved in politics or government. But not Lutherans! Our Confessions encourage us to be as involved as possible so that our Christian lives can witness to and shape society. The Lutheran Confessions hold that Christians who serve as government authorities may “impose just punishments . . . engage in just wars, [and] serve as soldiers” (AC XVI 2). Also, it is not sinful for Christians to take an oath when required to do so by the magistrates. God appoints the governing authority, but this does not mean that the authority must govern according to the Scriptures or make the Bible the fundamental law book of the land. The Roman emperor Nero certainly did not rule according to the precepts of the Bible. However, the authority he represented was appointed by God. The Bible is the sole authority in the Church or the kingdom of grace. It is not the sole authority in those institutions that, like civil government, belong to the kingdom of power. The basic principle in civil government is human reason, which turns natural knowledge of God into the organization and laws that promise and promote the achievement of the purpose of government. It is by the structures and laws that government rules, and government enforces these laws by the power of the sword. It should be noted. This article was written for, and subsequently included in Lutheranism 101 © 2010 Concordia Publishing House.